Is it just us, or are we becoming the go-to creative firm for event planning professionals?! Hot on the heels of our work with Alix Compton Events and MCW Events, we met (and were immediately taken with!!) 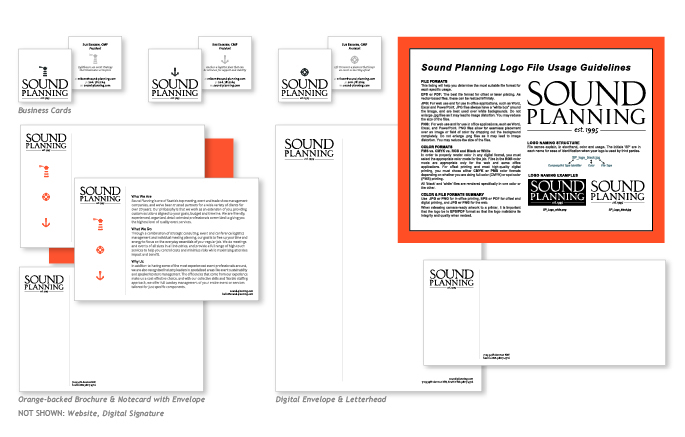 the folks at Sound Planning. Talk about a track record — they’ve been rocking it in the events space for over 20 years! And when they realized that their brand wasn’t quite keeping up with their rock-solid work product, they hired us to reframe and revitalize. We rolled up our sleeves and created a whole new package — logo, collateral, website AND content — and now they look and sound just as fantastic as they actually are!